Aggregate Equipment joins Gomaco’s worldwide distributor network! We're pleased to announce that Aggregate Equipment is now the authorized Gomaco distributor for the Atlantic provinces of Nova Scotia, New Brunswick, P.E.I., Newfoundland and Labrador. We will provide sales and service for Gomaco’s full line of concrete construction products. The appointment was made by Kent Godbersen, Vice President of Worldwide Sales and Marketing, Gomaco Corporation. 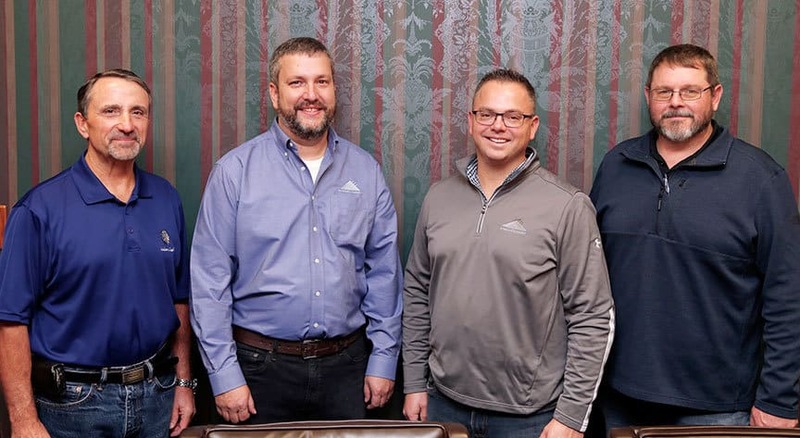 Signing the distributor agreement were, from left, Bob Leonard, Gomaco Sales Manager, Patrick Dempster, Aggregate Equipment Parts Manager, Chris Urquhart, Aggregate Equipment Sales Manager, and Travis Brockman, Gomaco District Manager. Gomaco is the worldwide leader in concrete construction equipment with headquarters in Ida Grove, Iowa, USA.